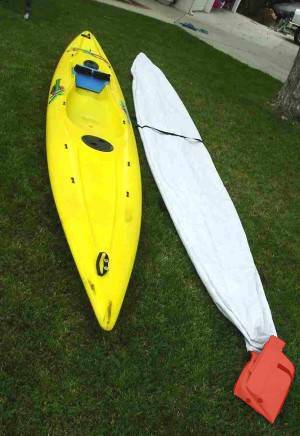 Danuu "cover Me" Kayak and Canoe Covers is the answer to all paddlers' dreams - an affordable, hassle-free solution for protecting your boat! 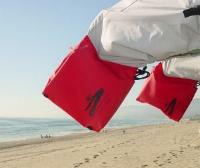 The covers are 100% UV resistant polyester with a water resistant coating on the inside of the material. 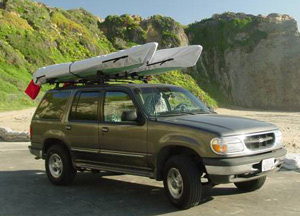 The cover fits over the kayak - top or bottom, and can be used on top of a car or on a trailer. Ever look for something red to hang from the craft while in tow? These stuff bags are designed to be great 'FlagBags'! 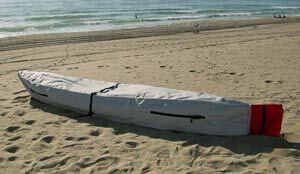 When not in use, the cover stores in the attached 'FlagBag'! How much more simple can it be? 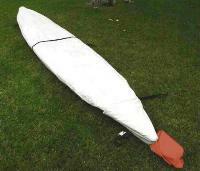 SKIPPER for canoes 11' to 14' 6"
RANGER for canoes 14' to 16' 6"
SCOUT for canoes 16' to 18'6"
Enjoy simple protection that is hassle free!